Dear Presence seeker, do you long for financial breakthrough? Financial breakthrough is one of the biggest areas of need that I hear about from our Presence-seeking community. It’s also one of the biggest areas of need I’ve seen in the Body of Christ in general … so if your answer to my question was “yes,” know that you are NOT alone! But did you know you don’t have to wait for breakthrough? It’s true. It’s in your hand right now to achieve and receive the breakthrough you need. Much food is in the fallow ground of the poor, and for lack of justice there is waste” (Proverbs 13:23). I believe this passage is key right now for everyone who needs financial breakthrough. Fallow ground is land you have that is uncultivated. It’s not being used; it’s inactive. This is a correct Biblical interpretation, as the Hebrew word here speaks also of land that has been tilled but not maintained or cultivated. … there is much food in the land you already have that hasn’t been cultivated. Yes, that’s right. The provision you need is currently hiding in land you already have. But the key is that it’s in land that’s fallow. Land that you’ve tilled, but not cultivated. What could your fallow ground look like? A job you know you could apply for, but you haven’t applied. A business idea you know you would like to work on, but you haven’t done anything about it. An invention the Lord gave you, but you got derailed in the process of producing the product. A blog you’d like to work on, but you let your website die before it even got off the ground. A yard sale you wanted to hold, but you stopped working on it after you only carried a few items into your garage. I could go on all day about potential things that could be your fallow ground or mine. Everybody’s fallow ground will look different. I even have fallow ground myself, so I’m preaching to myself here. So what will we do about our fallow ground? Keep at it, day in and day out, as if your finances depended on it. Because, according to Proverbs 13:23, the food you are looking for is hidden in your fallow ground. … even if you don’t think you have any land. So what is your fallow ground? And what are you willing to do to cultivate it, so you won’t be hungry anymore? We all have fallow ground. The Creator of Heaven and earth has given all of us ideas, dreams, and land that we need to cultivate so we can receive a harvest. All of us, including me and you. The only question is: Will you set your face like flint and work your fallow ground this year? If the Holy Spirit is speaking to you about working your fallow ground, please leave a comment below! Jamie … as usual, you are right on target along with words of encouragement to not give up & let others steal dreams, kill desires, and destroy hopes. I didn’t get any further with the post but I will be meditating on this BIG TIME today! Hey Julie … you are on to something … now starting to think along same lines. Thank you !!! Hi Jamie … your blog is really coming alive with value ( to me ). Keep it coming !!! It made me recall a story from history, a politician who was made fun of for wanting to give the poor implements for farming land that was unused to have food. The city council would not help him, so he did it on his own. Sometimes,even friends or family might not agree, but God is in the details. You nailed it again, Jamie. My work is finally being considered by a wider audience and I am working to make that grow. Thanks for the encouragement. Thank you Jamie , I’m going through a very difficult time after losing my job and income . My health has not been good and I am unable to apply for work .your words spoke to my heart and gave me hope to carry on . I am so grateful for your obedience and faith that allows God to use you . I pray that through the trials and blessings that a new born brings you will be truly truly blessed. Jamie, Pastor Mike first time reader.Great Godly advice….Bless your Ministry…. Thanks for reading, Pastor Mike! Nice to meet you. I have applied for jobs, I tried selling paintings and that didn’t prove fruitful despite a talent God gave me. It’s like He has cut me off from everyone and everything this year. He has taken me to a trust in Him as I have laid it all down to Him. I have spent hours in the secret place. He has brought me to a place of enrolling in college for a Christian Ministry Program. I don`t know where the money is going to come from but I have this peace and joy that my time of lack is over. So, I am not sure about the fallow ground it’s as if He is saying this is on Him, not by my hand or might but by the Spirit. Jamie, this was soooo encouraging to me. I’m seventy nine and still have the energy to work. Three jobs in my field of marketing did not work out last year. But I will not give up. I know there is gold in my fallow land. Thanks so much for your post. Go for it, brother! Get re-fired, not re-tired!!! Hi Jamie! I must let you know how glad I am to be one of your blessed readers. A lot of your writings have really ministered blessings to me and I’ve had to copy paste some of your prayers for personal prayers. Thank you for letting the Lord use you. You’re doing wonderfully well! This particular post on fallow ground instantly hit me as I have kept aside since on the 31st Dec 2017 a seed II intend to sow in my local church. Your post reminded me I have to get the seed sown so as to reap a harvest! Thank you again Jamie and stay well blessed. Amen! Sow that seed, name it and tell it what to come up as!!! And speak grace to it! 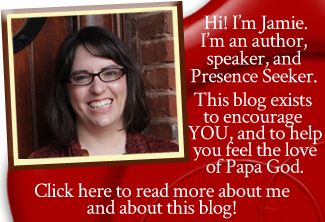 Thank you Jamie, your blogs are always super timely! I want to make fruit juices, Here in tropical Suriname we have lots of fruits. I am a chemistry teacher and know 50-60% how to make a juice without adding chemicals, thus a pure juice from the garden. But it just don;t seem to get of the ground, I try , i fail, searching for stores to by but I need to be registerd first in the government system so I stopped.